"Data driven decision making for municipal waste authority"
The best feature of BI360 is the ease with which technical and non-technical users alike can leverage disparate data sources from the centralized data warehouse to develop reports with key metrics to support decision-making. Very simple reports can be written to obtain key information in a matter of seconds, while the reporting capabilities can be expanded for more advanced users to conduct complex analyses. The fact that this is all done within an environment that is very familiar to all (Excel) makes it quick to learn and leverage. Some reports take longer to generate than is optimal (due to a combination of volume of data and complexity of reports). However, this is as compared to SQL queries versus using the Excel add-in. Understandably, there are tradeoffs to be made, and the access to data and additional reports for all end users is a huge benefit. Additionally, we have the need to extract unique counts from the records within our data warehouse, and there isn't a built-in process to do so. It is possible to aggregate the detailed data then use Excel-based functions to get the counts, but this process is a bit manual and can become slow with larger datasets. 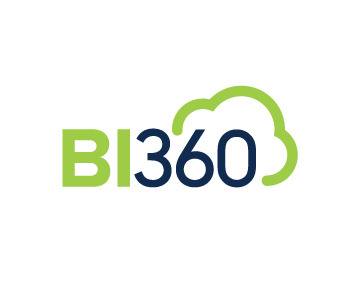 When considering BI360, ensure that your organization has a clear understanding of the data you currently have and you would like to integrated with BI360. If you've thought through this on the front-end, you will ultimately be more successful in determining whether BI360 (or any software) meets your needs and in implementation. It would also be beneficial to include both technical and non-technical users in the conversations when you are considering a solution; bringing perspective and requirements from a wide audience will ensure that you are asking the right questions. Also, ensure that you have designated power users who are committed to using and improving BI360 and the related processes within your organization. 1. Key data sources now live within the BI360 data warehouse (although we have some work that remains to integrate additional data sources). 2. Reports are now written from a common place (BI360 data warehouse), thus eliminating the need to pull and key data for multiple purposes. Additionally, the reports are written once and are then available for future use. 3. We have built out input forms and a process to implement a rolling forecast and are currently undergoing our third iteration of this process. We do have work left to build upon the logic in some of these forms such that additional calculations and logic can be automated, but the current forms enable us to enter and access more up-to-date information. 4. Because the burden or report generation is less manual with the implementation of BI360, we have been able to implement additional reports that enable us to understand our daily business, as well as future trends. We look forward to continuing to expand on our current report library, while continually reevaluating our reporting practices to ensure decision-makers are provided with information at the right level of detail. I like the fact that I can tie to anything within our system to create reports. GL can be reconciled to projects as an example. We use it for financials, JE's, reconciliations, governmental reporting, and many other ways. Many people use it for financials only and I think they are not fully maximizing the BI360. I spoke last year at Focus about all the different ways we are using BI360. Can be a little tricky to figure out the period calculations for what you are trying to pull. I feel better pricing for additional users would be great but we did have a very good ROI. Looking forward to seeing the new version at Focus this year. We have large reporting requirements for our industry. We used to farm out a bunch it to consultants. We now do everything in house and probably save $100k per year minimum by doing this. I have 1 report requirement that used to take me about 3-4 days to update and complete. I converted to BI360 and now within 20 seconds, I get the same information. "Great Report Writing and Planning"
BI360 is Excel-based for writing reports so you can do just about anything you need without having to be an Excel expert. It's also great that the tool that is used to create reports is the same one used for creating budgets. The best part is I can write a report that turns in a multi-line report without having to add each row individually. This last thing has saved me a lot of time when writing long, detailed income statements. Dashboards are really important for some people so being able to have dashboards along with reports in the cloud would be great. I would also love to have the website work well on phones. Creating financial reports and budgets are the keys. Being able to create reports that could be created with a minimum of specified rows and columns made creating the reports so much easier than in the financial reporting tool that ships with the ERP solution. "User-Friendly Powerful Business Intelligence Tool"
I LOVE how easy it is to integrate new data sources or to add attributes when a department wants more fields available. I'm also a big fan of the Report Designer. I'm able to put complex reports quickly, making my job much easier. My only complaint is that I can't control the sort order of attributes in the report designed, although I've been told that's a future improvement. BI360 does require familiarity with business intelligence products. I don't recommend it for someone without the support of an experienced IT team. That being said, I've found it is the best value and the easiest to use of the business intelligence products I've used. BI360 allows us to easily integrate data from several sources (scheduling, clinical documentation, IT ticketing, finance, and CRM). It's allowed us to build KPI-driven reporting for every area of our business. "BI360 is a great tool!" I love that report and budget template building in BI360 is Excel based and allows for design in virtually any format requested. The security by user is excellent. The expanding groups are powerful and enable writing maintenance free reports. If you have very specific requirements as to format of Budget, Forecast or Report templates, BI360 is the best in this area. Our clients are able to eliminate distributing reports manually via email or paper. "The finance professional's budgeting and planning solution"
Intuitive Excel template development makes it very easy for business users to pick up and build reports and budget templates. Using an SQL database, the BI360 can also be augmented with other dashboard tools to provide a rich data ecosystem for Finance and Operations. Small thing, but you use one tool to add data to the master (dimension) tables and another for data entry with budgets. Dashboards are adequate for KPIs at a glance and a separate tool is used for slicing and dicing. Start small, get quick wins and get the business collaborating with budgets as soon as possible. This is a great tool for business driven budgeting and reporting, and requires only minimal ongoing support. We implement BI360 for customers and most are able to become self sufficient very quickly. While the product has limited advanced capability, it more than makes up for this in being able to deliver on the promise of allowing the business/finance user to drive the development and adoption of the solution. "Power of Solver's Bi360 Corporate Performance Management Solution"
The solution is functional and easy to use with a basic excel understanding. The reports are easily complied and the information acquired is useful and insightful. The tool goes beyond accounting and finance and can easily be used for a variety of industries and their matrix needs. the drag and drop functionality makes is even easier to use. if you do not know it excel it can be challenging. Dashboards are not as robust but with Power bi added the tool becomes very informative. It has provided insights into our weekly business progress. The data warehouse has made it possible for us to integrate our CRM and Accounting system, both cloud offerings, and produce an accurate and up to date weekly picture of our business finances. The excel spreadsheet and CSV files are things of the past. The BI360 tool can be implemented in small segments. You can start small and scale up or map out and implement a fully integrated system. You can work within your resources and grow with the tool. Flexibility is a blessing and curse at times. You have to have disciplined resources to build and scale the tool continuously. If you do not prioritize your data/reporting environment, there will always be other more immediate and simpler projects tempting the IT / analysts staff. You build your BI360 environment, its not a prebuilt platform to hand off to a report user. Great flexibility in a space that can be very very expensive. BI360 lets people get started with managing 'big data' in a relevant and affordable platform that integrates to Microsoft ERP products. LCSWMA's business is 80% small, similar and repetitive transactions that need to be aggregated and analyzed continuously to measure operational and fiscal performance. No traditional ERP, WMS or CRM could aggregate our business transactions as fast or with the flexibility of BI360. We have incorporated operational/POS data with our BI360 Budget model and users now take sophisticated relationships between transactions and revenue and margins for granted. The tool is flexible enough that we've built some custom reporting for the 20% non routine part of the business that all aligns with our budget. "My users LOVE BI360 Budgeting (Planning)"
I rolled out the BI360 Planning module to my users expected to have to pull some folks along. Instead, I had to buy extra licenses because users were bragging to other users about how much the love it! Nice surprise for me. It's the ease of use combined with something they are familiar with, Excel, that draws them in. I would like to have an icon for the users to use to save versus having to go to the planning tab. Report writing is more complicated than we expected. It's user friendly, but it is not like creating an excel report. Make sure your VAR has the depth to assist with the report and budget development. Also, if you are only pulling in info from Dynamics SL/GP/etc. you don't have to purchase the data warehouse to get the warehouse functionality. The only thing is that you can not pull in info from a third party system without purchasing the product. Giving program owners real time access to their information in an easy to use format. My reports run a little slower because I created a tab to pull in detail GL info which keeps them out of Dynamics SL or asking for detail GL printouts. They LOVE it! Also created an area where they can make notes for their budget and forecast numbers so it is one-stop for them. Pivot tables and detail info are available on the fly, but that is too much info and work for the everyday user so the detail GL tab in each report has been a huge hit! 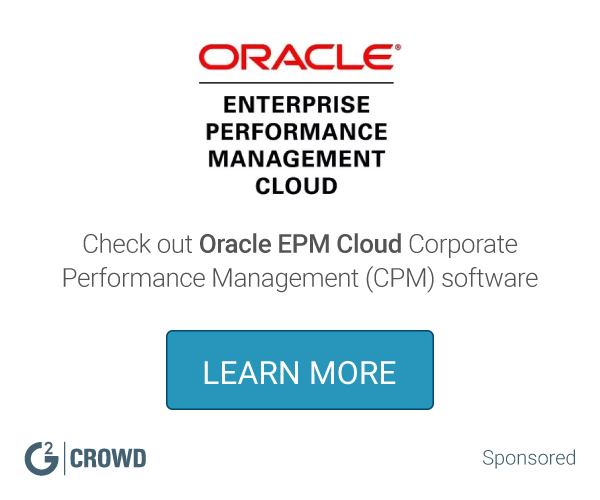 "CPM that delivers speed to value"
BI360 is an ideal CPM toolset for businesses who want speed to value and a familiar yet still flexible and powerful environment and toolset. It’s strong links into the broader Microsoft ecosystem make extensibility and support simple and as a vendor Solver do a great job of standing behind their product and their partners. BI360 has a clear focus on formatted reporting and detailed financial analysis, at the expense somewhat of functionality in the area of visual analysis. The strong support for visualisation tool sets such as Power BI goes a long way to compensating for this and in some cases might complement an enterprise’s wider BI & Analytics approach nicely. BI360 delivers clear and interrogatable financial reporting across core ERP/accounting data and complementary datasets such as payroll, CRM and more. The distribution of controlled financial truth across businesses empowers communication and decision-making and allows business users to keep their organisation’s financial goals at front of mind throughout their operational activities. The powerful budgeting functionality likewise allows businesses to take control of an often labour-intensive and slow process in a way that promotes individual responsibility but maintains governance. "Budgeting and reporting automation are made easy & streamlined by BI360"
Let me begin by congratulating third party service provider and customer support. They made it perfect when we were implementing this software in our corporation. I like it because with 3rd party partnership, it was straightforward to implement BI360 in the cloud. BI360 is my go-to solution for budgeting and reporting which I perform weekly based. Another thing is integration with other applications such as Microsoft GP, SL, and AX. As a Mac OS user, i like how it supports BI360 without any complication. If they don't have technical support in-house, it is wise to hire third party service providers. Customization of budgets and reports. Leveraging all Excel functionalities with BI360. Our previous sales cubes were out dated and we no longer had access to the individuals that configured them. Modifications were nearly impossible. Utilizing the Data Warehouse we were able to self manage the configuration and meet internal needs. "Solid Team / Solid Technology"
As a BI and Reporting Practice Director in the Dynamics channel, I have full confidence that the products offered by Solver work for out clients and therefore work for the practice and company. Whether it is Reporting or Budgeting or the Data Warehouse each module delivers value for clients with high adoption rates. When problems do occur, and that is inevitable based on the use cases in the market, the Solver team works tirelessly to resolve each issue in a professional manner. With extremely powerful Reporting and Budgeting tools, my hope is that Solver can leverage the visualization and analytic capabilities of Microsoft Power BI with the toolset and environment. The dashboard piece of the solution set is ok but sufficient for larger or more distributed organizations. Take the leap of faith with full confidence that the Solver team will support you. The benefits as a partner is that the tool deploys easy, is adopted by our clients with some training, and at a reasonable cost. As a practice we have gained the benefit of a deeper client relationship and migrating to work with higher levels of client organizations. - Our clients have stated that they are producing better reporting and better budgeting/forecasting in less time and with higher quality output resulting in happier management. "The best planning and report writting business tool"
Great time saver especially when writting very long and detailed statements. Dashboard reports are now easier to make and use and can be customised to fit ones likes. I've only been using the software for less than two weeks, but I'm already caught up to my peers due to the intuitive nature of the interface. That have been some bugs in the current could environment, but it is still in the beta phase, so that is to be expected. I'd recommend getting a personal demo and having the product shown to you. There is also a solver academy that has videos that highlight the product in use as well as various topics so you can see how it works for your focus areas. I have not personally implemented it yet for our inventory systems, but it has been used to great affect for our budgeting and finance team. "Phenomenal B.I. Tool for the Money"
I love that BI360 runs in Excel, and has the full range of Excel functionality, features and benefits. No specialized database training required. Unlimited potential in financial modeling, presentation and creating actionable reporting. The training and help center could be better developed. BI360 users would benefit from having a robust catalog of training, examples, and reporting ideas on how to better use BI360. We're using Solver and BI360 to develop our financial reporting package, including board presentations, credit facility metrics, financial statements and trends, etc. We are benefiting from standardized F/S presentations, ease of customization to add periods, etc. "Best solution for Reporting in Excel"
The fact that BI360 is Excel-based creates immediate use adoption. It enables users to leverage the power, flexibility, and capabilities of Excel. It comes with integration with major ERP system. The data warehouse for consolidation is another great addition. A user can add comment to the report and store to the repository. A finance user can create financial reports (eg: Income Statment and Balance Sheet) with minimal training. It takes some time for Excel to render a complex multi-tab report. It can be solved through creative Excel skills. We use BI360 to create Financial Reports. The output is in standard Excel formulas. A financial user can do further analysis or highlight on the report with ease. "Bi360 makes report creation easy"
Drag and drop functionality makes creating and formatting of basic reports easy. Integration isn't always complete so you don't know what is available to report on vs what needs to be added to the module. No search function - so if you know the field you want in the report there is no quick way to locate it in the design builder. Excel is a risk for reporting as it can be modified to what is actually in the system. Ensure you are clear about your reporting requirements and who will be responsible for creating and using the reports. Excel is also a tool most finance professionals know how to use. Every time we implement Bi360, we uncover and address previous reporting inaccuracies and inefficiencies. By the end of phase 1 of implementation at most customers we have saved money, time and improved their reporting capabilities significantly. Every site continuous to grow as the benefits of accurate on time reporting improve their businesses. Importing of non financial data can be tricky, but once it is in the data warehouse, it contributes to a single source of the truth reporting business wide. This tool is a business enhancer and it priced right compared to some other reporting tools we reviewed before implementing it at Dynaworx and becoming a distribution partner. I like the ease of reporting, and I also like that I am able to learn the functionality fairly quickly. I'm not a database administrator, but I feel that I have learned a lot in that area as well. I did watch a lot of the training videos that are provided on the support site, and there were a handful that were not reviewed very well before they were uploaded. I fortunately had learned the concepts of the functions that were not working correctly in the instruction, so I was not confused. My organization has a system that is not user friendly or reporting friendly. The reports that do exist are not laid out in a useful manner. The system is super rigid as well, so it is great having BI360 as a reporting solution to this problem. We have not yet implemented the data warehouse so the connection to GP provides thousands of attributes to chose from and is not fully optimized for reporting. Spend time thinking about the reports you would like in your library and learn how to write those in BI360. You will not be disappointed. We are starting to track and report spending by issue without having to add a new account segment to GP. It was nice not to have to modify the chart of accounts to accomplish this reporting since the issue tracking only applies to a subset of our transactions. The new version of BI360 5.0 is a more structured design and no client interface needed. with local machine processing. Log in via the portal, where reports are neatly structured in a library. The cloud solution is currently managed inLos Angeles in US, would be great if it was local - South Africa. Streamlined processes which allows for fast and accurate financial reports. Budgeting & Forecasting in excel spreadsheets are eliminated. All is now consolidated in a central place. Martin Andrew who is our BI360 report writer wizard. Excel based. Reports can be manually changed or published. Works across arrange of data bases. One report was created to report over 25 diverse companies. Reporting. Time. A report takes 5 seconds to run if there is a mistake a journal is done and report rerun. "Plenty of Potential for your Financial Reporting Needs"
The ability to automate report generation and looking forward to planned feature releases in the upcoming 5.0 platform. The use of silverlight, which has been buggy and has received poor response from users, however with the new 5.0 platform this problem will be eliminated in early 2018 for on-premise installations and is no longer a problem for anyone using the new BI360 Cloud Service. With Solver's BI360 Suite our users now have the ability to run reports anytime and from anywhere. Greatly reducing time spent on report generation and increasing user satisfaction. I use it to create Excel based report for SAP Business One. It's built in integration to the ERP make it very convenient to the user without IT knowledge. The fact that it is Excel based help me to utilize the power and flexibility of Excel. Need some practice and experimenting to built more sophisticated report with tree and KPI. Fortunately the helpful Solver support desk makes learning easier. If you are familiar with Excel, this should be the right tool for you. Financial Reporting. The result is directly in Excel with formula. This allow user to simulate the what-if scenarios easily. Web app that can be accessed from anywhere. It's customizable and Excel based; easy to use Excel functions to create reports and budget templates. Still some quirks with the Cloud application is making it difficult to administer. We continue to struggle with the templates and full understanding of the application. Start with the on premises version. Wait for the Cloud application to be settled before moving to it. We mainly use it for budget currently, but with Publisher will be using Bi360 to develop and distribute reports to our workforce. In all my years in IT the last thing finance says when asking for data or a report is just get it into excel. Well Solber BI360 is there. Sold to us as a simple end user supportable solution, far from it. Users are always wasting time comparing values between reports and GP reports to try and understand the differences. We desperately need more training. "BI360 Has allowed customers to enhance reporting allowing them to make use of real time data"
Still a couple of issues around tree reporting and dates when reporting. Typically on the template expanding with dates. Do your homework on the entire data capabilities of the tools you may be looking at. Make sure the end user can use and create reports. Helping customer solve a wide variety from reporting and budgeting to analysis and various data consolidations. Excel Based view with best customization possibilities for our reports. We can schedule all our Financials for Monthly distribution to management and for some external parties as well. Specially for specific clients, now we can design reports to meet exact requirements. Publishing reports some times crash while multiple subscriptions run at the same time. BI360 is a great tool for those organizations that have a high level of Excel Knowledge. Although there is a learning curve for some users, the product can be setup and configured fairly quickly . Overall I am very pleased with solver and BI360! The building of reports and templates in a streamlined manner can be difficult for some to user to work through the final reports. The end re in designer for a new user can be very confusing. Take time to make sure you are purchasing the correct products and features. We are in a situation where our budgeting tools are being sunsetted and we needed a replacement. I believe this tool will be a great success. Ease of use. Advanced options for reporting, excel based view and ease in formatting. some time publisher crashes which cause problem for us. also it does not support multiple instances. Very easy to use. can provide solution for many daily routine reporting requirements for managers. With BI360 we are now able to generate multiple adhoc reports for our management requirement. It has helped us alot during our audit. we had to make new reports for auditors and BI provides facility to create any required report. "Make financial planning and reporting simple"
Budgeting can be painful when there are many managers involved. I like the ability to manage the budget where managers go in and enter what they want and then I'm able to roll everything up utilizing the reporting feature. Also, I love the publisher! Being able to schedule reports to run at a later time is very helpful to manage my day's workload. One area I've noticed could use some improvement is in switching between report design mode to run mode. When I'm modifying a report, it can be time consuming just switching the report from design to run to see how the report looks and then back to design again. Centralizing data in one place and being able to report on current vs historical data. My favorite function of BI360 is the Dashboards that make it easy to visually consume data. The Excel add-in is delicate. From time to time it stops working or throws strange behavior. Nothing a restart doesn't fix. Dashboards and Budgeting are great features ! The primary problem is to get data to the C levels. With dashboards, this is now self-service. "A complete solution for reporting by web"
BI360 allows you to create any kind of report with a different type of data and export it. Maybe at the beginning is a little bit complex. decision making between administrative departments of the company. "Great Product for Financial Reports"
BI360 is a great tool for those organizations that product their final report to Excel. Although there is a learning curve for some users, the product can be setup and configured fairly quickly . Overall I am very pleased with solver and BI360! The Data Warehouse has great functionality but it is time consuming to configure to capture data. Love it and look forward to the product that will work with Intacct. The benefits for BI360 is its ability to generate directly in Excel and with the publisher to be able to generate to a sharepoint or shared drive and send via email to users. The ease of use and the native integration with excel makes it an excellent tool. The adoption of the new application is always a challenge, but process of learning it was beneficial. We are using it to develop reports, metrics and dashboards. Make sure you know excel. Support seems boggled down and can sometimes be hard to get in touch with. Benefits are that you can integrate almost anything into the system and build a variety of reports. The conference had a lot of hands on classes which I feel was very helpful instead of just sitting and listening to someone speak. The amount of time dedicated to the hands on sessions. A little more time would be better. The speed of my reports. Learning what I can omit or what I can change in order to make my reports run much faster. "flexibility, efficiency through data integration"
We like Solver and BI360 suite of tools as the main design tool is excel based therefore easy to use if you already have excel knowledge. Really do not have anything that I currently dislike. Great Company to work with support in top notch. Replacement of FRX rather then Management Report. Sales reporting replacement rather than analysis cubes and pivot tables. "Solver a real reporting systen"
"Great product for accounting purposes"
Simple, complex, and excel based. I personally like the dashboard option. Requires a good amount of training. Trial and Error will occur. Must have good knowledge of excel. Using Solver for Budgeting and Forecasting, will integrate AP and AR down the road. Building customized reports have made financial reporting better. Working as a partner with Solver is great, we have always found them to be very professional and readily available to help. With all reports/budgets designed in Excel the tool is easy to use. Working with many Clients to answer different data and reporting requirements has been easy with BI360, be it reporting, budgeting or data warehousing. There is one place where i can administer financial reports, the data warehouse, and budgets. It is a SQL based package which makes finding resources to do certain SQL related tasks easier. There does not appear to be a specific learning track to understand the various aspects of the software. Courses seem to be too focused on financial reports and not enough on metrics. Metric reporting, budgeting, and more robust financial report analysis. "Best reporting experience for SAP Business One"
- Its out of the box connector to SAP Business One. - That it creates my reports directly in Excel. - The web portal is great for unifying reports across a company. Lets everybody stay in line with the same numbers. In my current version I still require silverlight, Im waiting on the upgrade for this. "A New Level of Corporate Performance Management"
Solver is forward thinking with the BI360 solution. The key is a great data warehouse that supports the budgeting process and reporting that can be modified by the end user. This functionality allows a small design which allows for faster updated and much faster run speeds. Reporting, Forecasting & Budgeting and Dashboards. "Really good for more simple tasks." You can develop your reports to update automatically and publish them to the intended users. Takes a lot of manual intervention out of the process. Things can get really complicated - especially if you are using an involved report/template from another source. Learn it well and spend time with it regularly. Big time savings on Publishing monthly Departmental P&Ls. "Great solution for a reasonable price"
The thing I like best about BI360 is how it nests itself within Excel and because of that creates immediate use adoption. There are lots of products in the CPM world but none that better breaks down the barriers for users to excel in! If I could change one thing with the data warehouse piece of the product, it would be to not market the data warehouse as a proprietary function. When selling into the CFO, the benefit is obvious however when you try marketing to the CIO, they tend to prefer a cubed environment. Thank you for the positive feedback, and for the suggestion! We'll be sure to relay the message to our team. We'd like to send you a gift. Please send us your mailing address to hkim@solverglobal.com. Thank you! "Bi360 has streamlined our reporting and planning process"
I like the fact that I can customize my existing reports and create new reports that benefit our departmental and budget managers within our Agency. We have run into a few "bugs" in the system, especially as it pertains to losing some functionality in the system during version upgrades (4.0 to 4.6, etc.). Sometimes we will run into issues that either Solver or Tribridge is unable to replicate so the issues cannot be resolved. We ran into an issue where LID in our planning module was disappearing from our Data Warehouse. We have not found a resolution and Solver is unable to replicate this issue for us. The software is able to adapt to our relatively complex and very detailed budgeting. Once the budget files were created, there is a low administrative burden to maintain them and recreate for on going budget scenarios. It has made our monthly close process much faster through automated reporting. Users with lower excel skills have struggled to use the software correctly causing some issues. Budgeting and monthly reporting. It is much quicker to do our month end close with the BI360 reports in place and there is a higher level of accuracy in the budgeting numbers now we don't have to rely on manual excel files. * We monitor all Solver BI360 reviews to prevent fraudulent reviews and keep review quality high. We do not post reviews by company employees or direct competitors. Validated reviews require the user to submit a screenshot of the product containing their user ID, in order to verify a user is an actual user of the product. Hi there! Are you looking to implement a solution like Solver BI360?